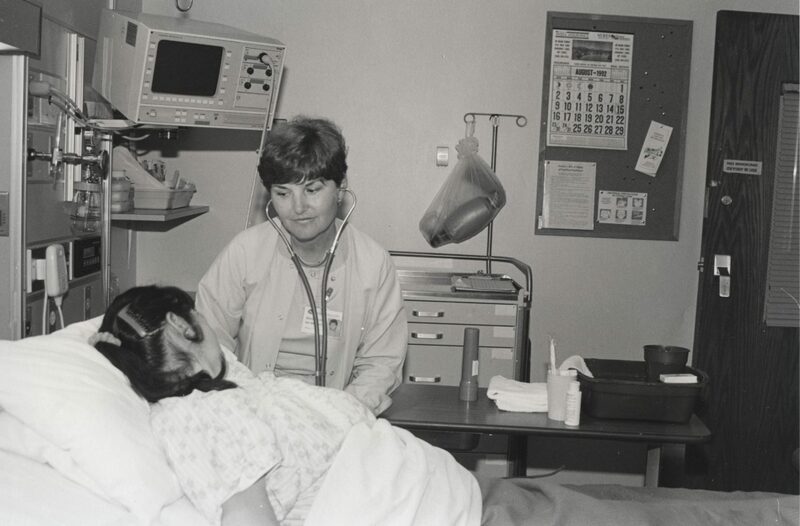 A healthcare provider at the Saranac Lake General Hospital attends to an unknown patient. 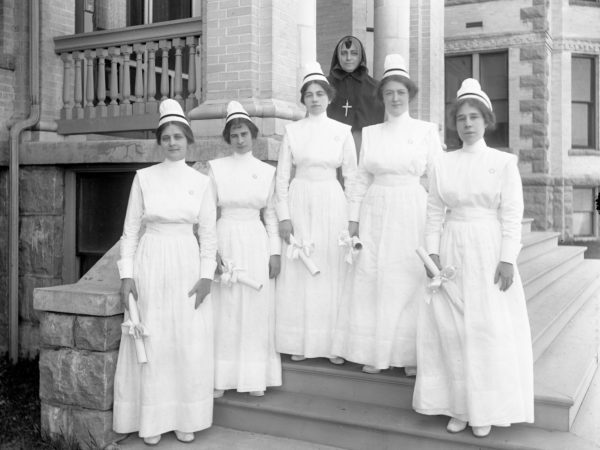 The General Hospital was built in 1913, when a week’s stay cost $10 per week. Use of the operating room was $5 per procedure. There was room for twelve patients at a time. 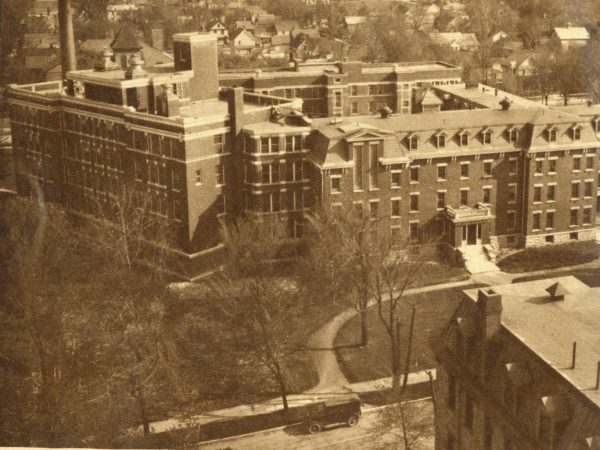 Unlike much of the rest of the healthcare industry in Saranac Lake, General Hospital was not a tuberculosis hospital. Tuberculosis patients were only ever admitted for surgical procedures. 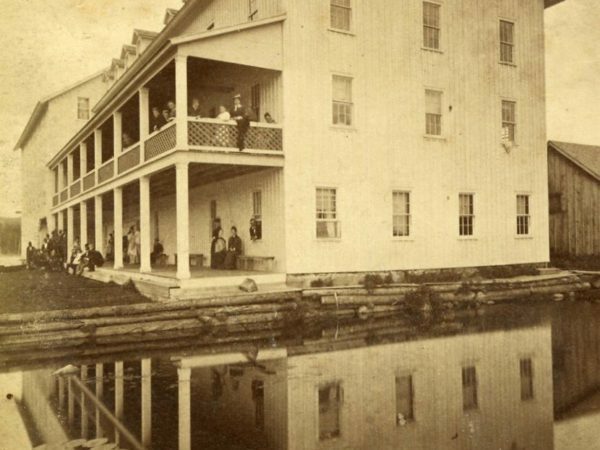 In 1967, the General Hospital moved locations (now at 285 Old Lake Colby Road) and was later renamed the Saranac Lake Health Center. It is a member of the Adirondack Health network. 1992. Saranac Lake, NY. Courtesy of the Saranac Lake Free Library.